Belluno is visited predominantly for its proximity to alpine paths of the Dolomites. 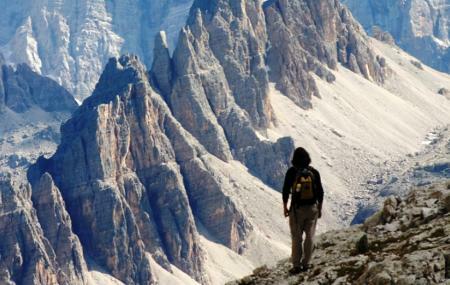 Climb up to peaks of the Dolomites to witness the vistas of nature unspoiled. There are many companies that offer excursions in the wildest areas of these Sacred Monsters, by exploring unusual paths and therefore not unknown for local knowledge. Infact, there are different routes which are suitable to be explored by both experienced climbers as well as the beginners. These routes are marked with different combinations of both technical and physical difficulties. Climbing on these peaks can be definitely one of the ways to add adventure to your itinerary of Belluno. Be prepared for a tough journey upward. How popular is Alte Vie Delle Dolomiti? People normally club together Palazzo Dei Rettori and Piazza Dei Martiri while planning their visit to Alte Vie Delle Dolomiti.